Honda, which you probably know as a car company, actually makes a ton of stuff that Aren’t Cars. One of those things is a private jet, which Honda has helpfully called a HondaJet. And I’m about to go for a ride. Okay, okay, I’ve been told it’s a short ride. A 22-minute ride, to be precise. But still, it’s a ride in a HondaJet! I’ll take it. 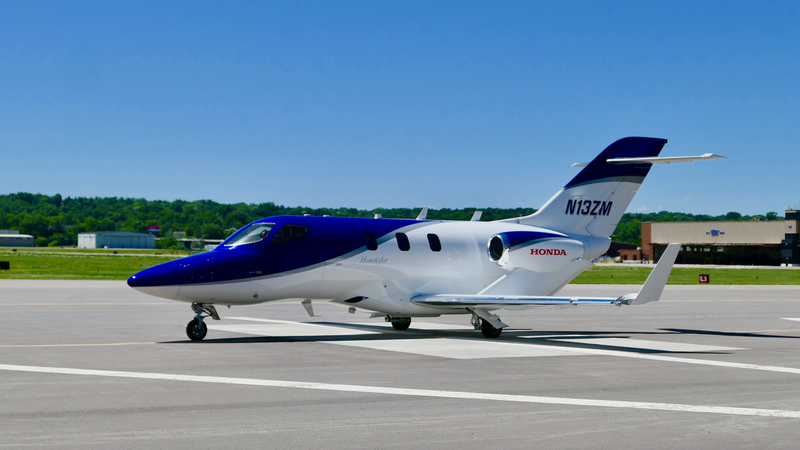 The HondaJet is unlike most private jets, in that it exists in a category known as Very Light Jets. They only seat five to eight people, and they only need a single pilot. A Gulfstream G650, the HondaJet is not. But Honda claims that the HondaJet was the most-delivered private jet last year. Did I mention it’s a jet? The toilet has a seatbelt. Safety first. It costs about $5,000,000. That’s a bit of a downer. But if you’re in the private jet market, you should know that these things cost that much. That’s on you, buddy. So what do you want to know about the HondaJet? I’m going for a ride in a couple of minutes, and will try to answer your questions as best I can.